Being able to see my cohort’s hard work and dedication to the mission of the program be put on display at the Healthy Aging Symposium was incredibly rewarding. I have never had my work put into this type of presentation form. It was really exciting to get notifications about people reading the blog posts after following the link on our poster. It felt really satisfying to have our work spark interest in people, especially because the work we did sparked interest for me too. Being able to share this with people via our blog is honestly awesome. It was also very interesting to people watch at the symposium, listening in on people’s conversations and hearing what they had learned from the various lecturers. It seems as if most people who attended were still active in the San Diego community. This is very inspiring, and I hope to be just as involved when I get older too. After working with the same group of students for two quarters, as well as experiencing life in a variety of environments together, I feel as if I have found a new family. I can tell you something personal about each person in the classroom, and I genuinely feel as if I have had the opportunity to get to know every single person in a more intimate way. I love the small classroom environment that LCS provides, allowing for more effective and open discussions on the topics we discuss in the program. I felt so comfortable in the class and I loved listening to the brilliance that my classmates had to share. I feel like our cohort was so diverse, having students with backgrounds from all over the map, as well as experiences that were incredibly unique. I’m very thankful for my classmates’ insights and experiences that helped me to enrich my own perspectives. I am thankful for the opportunities that I have had to continue my service learning interests through LCS as well. I remember in high school how happy the volunteer work. At the time, my motivation for beginning this volunteer work was having content for my college applications. However, I always remember how elated and relaxed I felt after putting time into work that actually helped people. I was so blessed to find the Life Course Scholars program and have the opportunity to earn course credit, all the while gaining hands on experience in elder care as well as learning the intricacies of the process of aging. The thing I am most thankful for is the small conversations and moments that come from the intergenerational interactions that our visits to various communities provide. Every conversation with every older person that I met through this program was genuine. I feel as if the work that I did in this program did have impact, especially on the micro-level. All too often do we focus on the importance of solving problems without focusing on the value of the individual. The micro-level changes are what I feel to be the most valuable simply because I can feel the gratitude so much more. This helps for each individual to be more inspired to continue making change. ​I want to also thank Professor Bussell and Professor Lewis for founding this program and allowing the opportunity for an enriching and rewarding learning process. This class was without a doubt one of my favorite that I have taken at UCSD. I would highly recommend it to anyone, even someone who thinks of themselves as not being particularly skilled with working with older people. There is value in the experience of the program that I believe to be irreplaceable. This week we were instructed to write our blog posts, reflecting on our HAPs. I am currently involved in two HAPs, one being the oral history blog with Chase, and the other being the Pop-Up Park proposal with Sylvia, Danyi, Jacklyn, Rhiannon and Nhi, with most of my efforts being devoted to the former, as the pop-up park will need more effort in the later part of the project timeline. The oral history blog came along well. However, we received a fraction of the number of blog entries that we would have liked. Understandably, due to the intimacy of the project, many EPs opted out of their oral histories being publicly shared.That being said, we did adjust our blog model to only include any names in initials rather than their full form to protect the EPs’ privacies. If the EPs knew this, maybe they would have thought differently. Hopefully, we can get a more detailed list of past LCS cohort contact info, and make it an effort going forward to have an accurate and complete list for all new cohorts. We also hope to promote the collection of oral histories in other places, not just LCS, so that the project can reach a larger audience and create a wider network full of lessons and memories. Within UCSD, we could harness the power to reach a large population of students that would be interested in conducting their own oral history projects. There are many resources on campus for intergenerational activities as well as research on aging. By tapping into other groups with common missions and interests to LCS, we could create a trend of oral history collecting. Qualitative data is often unfairly discounted. I think this may have to do with the fact that often, the information is so rich and dense, that clear trends and patterns are for more difficult to recognize and therefore apply to the mission that the research seeks to complete. However, the lack of acknowledgement of the value of qualitative research has caused issues regarding the addressing of problems not considered to be statistically relevant. For example, if we were to rely solely on statistics for the relevance of Alzheimer’s disease, we would consider this condition an anomaly and not worth studying, as it only affects 10% of the population over 65. However, the projected numbers will be much higher, as many as 16 million people will have Alzheimer’s disease by the year 2030. This creates a greater urgency. Again, the fact that currently only 10% of people over 65 have Alzheimer’s can show a lack of urgency for action and cures, but upon further investigation, it is a very pressing issue. Similar logic can explain the importance of qualitative data. Although we may not see a clear trend indicating problems and disparities amongst older people in numbers, it does not mean they don’t exist. This is where the oral history projects and other research that measures more than just numbers come into play and become more important. We should approach providing solutions for our aging population from a holistic perspective, understanding that solutions to certain group’s problems could also be the solution for others. ​The oral history blogs can serve as an archive for the collection of this qualitative data, where we can learn how people’s struggles and memories have shaped their lives. Where can we improve our system so that our children have to continue dealing with the same barriers? How can we replicate the aspects of our systems that function well? This week’s discussion dynamic was very stimulating. I appreciate Professor Bussell’s efforts to promote an environment where open discussions can take place and people can freely express their opinions and thoughts. I was particularly touched by the book discussion, led by Monique, Stephanie, and Kyle. The subject of the way we communicate with our older relatives through language and the implications this can have for relationships. In “The Horned Toad,” the main character expresses fear of his grandmother, based on his difficulty communicating with her, but things change when she comforts him when he is sad. He explains that everyone in his family started to spend more time with his grandmother after seeing the connection between the main character and his grandmother. Everyone tended to be more grateful of the responsibility of taking care of their grandmother. I think the theme of this story is really beautiful. It’s always nice to see the growth of appreciation of our parents and grandparents. Personally, I carry guilt in regards to my relationship with my deceased grandmother. I think as I was growing up, I did not understand the intricacies and complexities of her personality in the proper context. My grandmother grew up in Nazi-occupied Poland during World War II. I remember visiting her childhood home and finding bullet holes in the kitchen table that had come from warfare that had taken place in her very backyard. The bunkers in the field behind her home still stand. The town she grew up in is small and very modest, with little to do other than the daily routine. She did describe times when she didnt know when her next meal would be. She remembers hiding from soldiers doing inspections in houses. She was also fluent in German, having been forced to learn it in school. Only now in my current state of maturity do I understand the impact of the horrors that I know my grandmother had to endure. I also understand that there are many untold stories that have impacted her as well. ​I used to dislike visiting my grandmother because of how she would force me to finish my food before I left the table. There are reasons behind the behaviors of hers that I did not like and refused to understand. I’m thankful that I know these things now and can find some peace in them. However, I will always wish that I could have told my grandmother this before she passed. The LGBT center is probably one of my favorite locations that we have visited. It is by far one of the most diverse. The feeling of being welcome at the center was a bit different than at the other locations we have been to. I sensed more skepticism than usual, this probably being because the center deals with very intimate and serious issues. From our experience at the LEG lunch, I came to discover that many of the community members were living with HIV or AIDS, a difficult challenge that is not unique to, but specifically more relevant and common in the LGBT community. 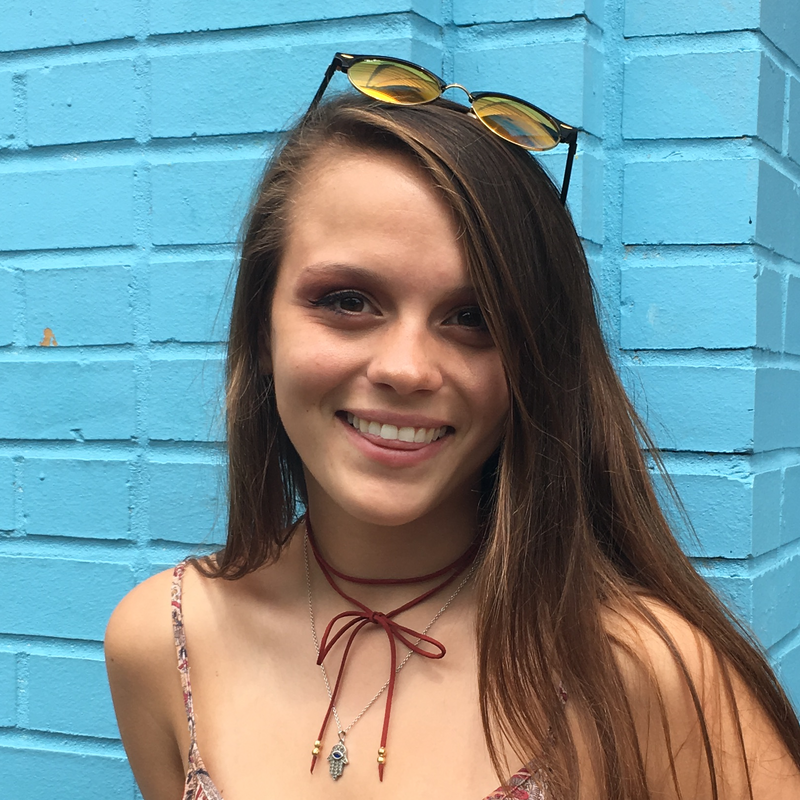 With such serious issues facing many of the community members, the introduction of outside groups within the LGBT center can potentially cause discomfort. 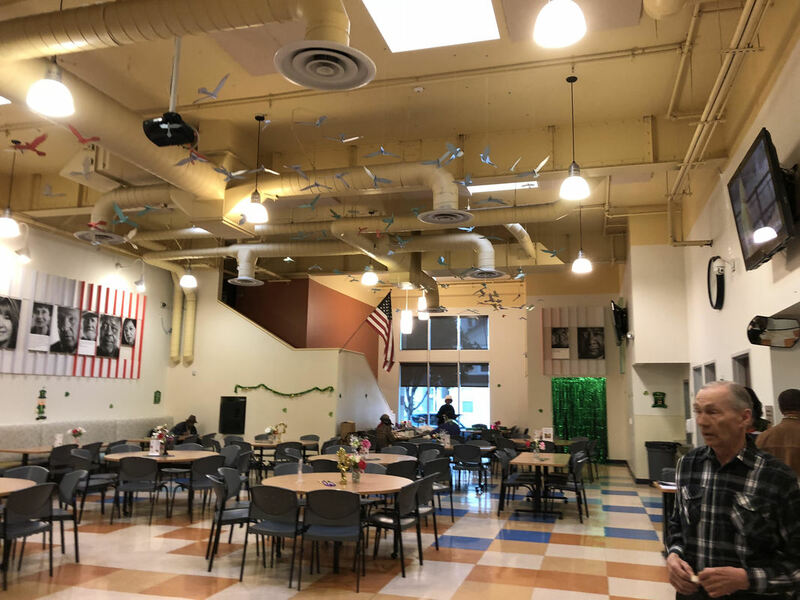 The LGBT center has been working for many years on building trust with the community and establishing a supportive presence within the Hillcrest region. Us, the Life Course Scholars program, are probably viewed as outsiders compared to the center itself and even though the center advocates for us to be there, trust must be established in order to create effective collaboration. This sentiment came up with one of the residents. One of my fellow cohort members shared with me after the event that there was sentiment regarding the genuinity of our group in terms of our presence at the center. The community member expressed that while we were introducing ourselves, some of us seemed “fake,” without our hearts in the right place. It sparked some thoughts for me in terms of the ways that the LCS program goes about their activities. Although we are in a school/classroom setting with the need for deadlines and a particular quota of activities, sometimes the activities feel a little unnatural at first. Unfortunately, due to limitations of school resources and time, there is simply not ample time for establishing natural connections with a particular community or center. However, possibly, instead of using the second half of the quarter to continue to explore different centers, the class could be remodeled to promote the development of a deeper relationship, and return to a center/community where the entire class feels the bigger connection to. That way, there is more trust established and less of a community service for recognition vibe and more of a community service for the fact that it’s the right thing to do vibe. ​Granted, the community member who expressed this sentiment was fond of my cohort member as well as myself because she was able to speak personally with us and find out that our hearts are genuinely in the right place. This is why we need more overall intergenerational activities, to allow this interaction to occur and break myths of gaps between generations. Hopefully, the LCS program will be able to expand and devote more class time to the development of trust and relationships with a smaller group of people in order to make more meaningful connections in the future. When we arrived, the seniors quickly assembled and set up preparations for the potluck after Zumba. The instructor chooses wonderful, upbeat songs that everyone can dance too. She also choste a good set of choreography that makes people tend to smile. I genuinely begin to sweat every time we come, because the moves are so engaging. I had mentioned in my previous blog post about zumba that the instructor also makes a commendable effort at modifying the exercises for older bodies. She runs through stretches in the final dance that help to prevent injury and increase muscle longevity. The activity is excellent and I’m very happy that Bayside has this available to them. Our discussion involving the same theme as last week, the WHO’s age-friendly cities, was wonderful. I worked in a group with Tessie, Niel, Jackie and Tammie. Everyone was so nice and welcoming. Niel and his wife Tessie have been living in Linda Vista for about 40 years. They knew a lot about the area! Niel informed me that after WWII, the government subsidized the construction of 3,000 living units in the Linda Vista area. The purpose of this was to house technicians and other military industry employees as well as their families. Niel and Tessie purchased their home for about 19,000 in the 1960s. They agreed that subsidizing this housing and having the opportunity to invest in a home allowed them to have a better life. In 1965, $19,000 is about what would be $150,000 today. I am more than willing to bet that their house is worth more than that, considering the property values in San Diego. Niel and Tessie have since paid off their home, and are probably able to live comfortable due to their equity. ​The whole group had a great sense of community pride, coining Linda Vista as the heart of San Diego. All of the adults in this group repeated that phrase multiple times. (Maybe Bayside should use this for a slogan) They love the parks that are close and walkable. Tammie explained that she loves going by the skatepark to watch the young boys skate. The skatepark is also supposedly the 2nd largest skatepark in the state. They were very proud of this. Tammie also said she often interacts with the skaters and other young people in the park, clearly making Linda Vista a welcoming place to live. We have learned how detrimental social isolation can be for elders, and for people in general. From our conversations, we learned that the community in Linda Vista is incredibly close, and if people are not close, then everyone is also friendly. I have always felt warm and appreciated at Bayside. All of the experiences there have supported this. I’m really hoping that they are interested in working with us on our HAP, especially because the community has wanted a garden. But as with all community outreach projects, we must handle the community delicately, and establish trust and friendship before proposing changes. Our age-friendly activity at Casa was a success! We were a bit worried at first, as many of our attendees ended up arriving late due to other activities and scheduling conflicts. However, once more late-comers arrived, all in all we had fair attendance. When many of the groups were introducing their findings regarding their NAPs, it was interesting to watch the elders’ reactions to what was discovered and learned. From my understanding, many of the residents at Casa have not had much experience with venturing outside of La Jolla. Although Casa can provide the means of transit for exploring greater San Diego, there must be sufficient interest as while as time and resources management to make field trips possible, causing many of these events to be more occasional rather than regular. After hearing about the vibrant community and art spaces in Barrio Logan (my group, yay! ), it seemed like there was greater interest in exploring the more South areas of San Diego as well. Considering the demographics of La Jolla and specifically Casa de Manana, it is important for people to be engaged with the communities that they otherwise would not normally be predisposed to interact with. In the more recent past, Barrio Logan was plagued with street violence and gang activity, making it a community in San Diego that most people living in centers like Casa would try to avoid. To this day, Barrio Logan’s name is tainted by this history. I feel like I have played a part in properly informing the elders about Casa about the development of Barrio Logan into the politically active, vibrant community it is today. From this alone, I was inspired to try to promote intergenerational tours in the future, where UCSD USP students could bring residents of Casa into communities that they are studying, and show the residents the hypotheses and evidences of their research in the respective communities that they are studying. During the brainstorm on the ideal age-friendly cities, the residents that we were speaking with, Dorothy and Margerite, were inspired by their struggles and challenges living in La Jolla. Both ladies expressed a heightened interest in more opportunities for interaction amongst people of all ages. There are many older people living in La Jolla, and unfortunately for many, the only interaction these people experience is amongst people their own ages. Within La Jolla, there is a shortage of families which presents the main issue we see in the population, the fact that there are few young people. 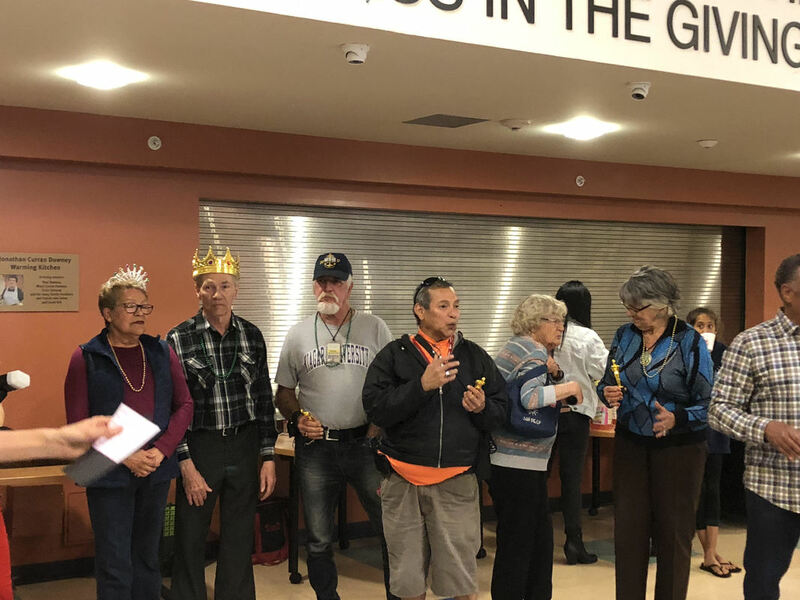 With so many schools and universities in the greater San Diego area, there really is no valid excuse for not interacting and participating in intergenerational activities with the seniors at Casa de Manana and other senior living communities. There are wealths of knowledge embedded in every population and we can all learn more from each other. The ladies suggested tutoring on school subjects for college students from seniors, combined classes on things such as health and current events, and generally more opportunities for time-passing together. Today’s passage discussions went very well and were incredibly engaging. Micah, Jacklyn, and Chase did an excellent job at leading discussion as well as choosing meaningful passages that helped to promote relatable and enriching conversation. We talked a bit about social isolation and ostracization of seniors and the effect that these kinds of behaviors can have on seniors’ overall long-term health. The film that we watched also supplemented this conversation. In regards to the way social isolation affects seniors, we have learned that social isolation has an incredibly negative impact on the mental as well as physical health of seniors and it gets worse as time goes on. The conundrum is that most seniors do not want to live in group homes as they get older, but they also are faced with dwindling opportunities for social interaction when they live alone. 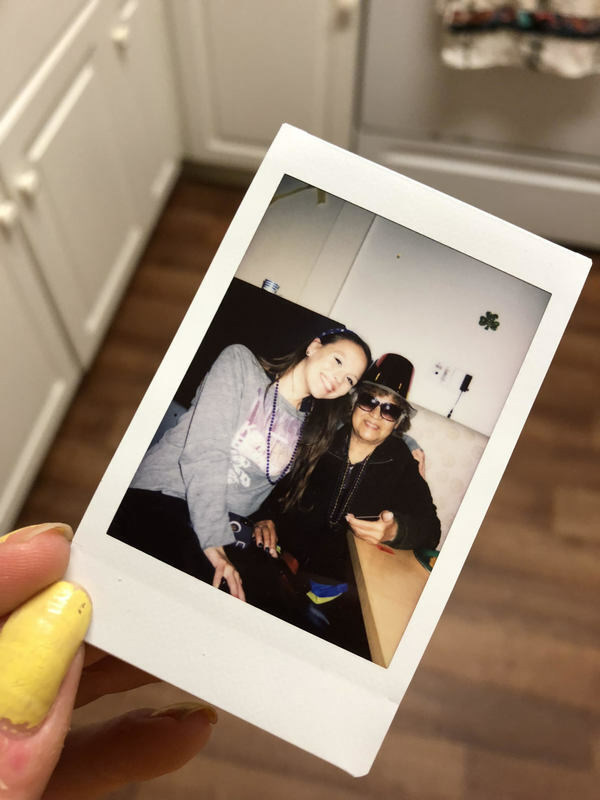 Often, neighbors move away, they outlive their friends and partners, and there is a general lack of intergenerational activities that connect seniors to other people who are not their age. 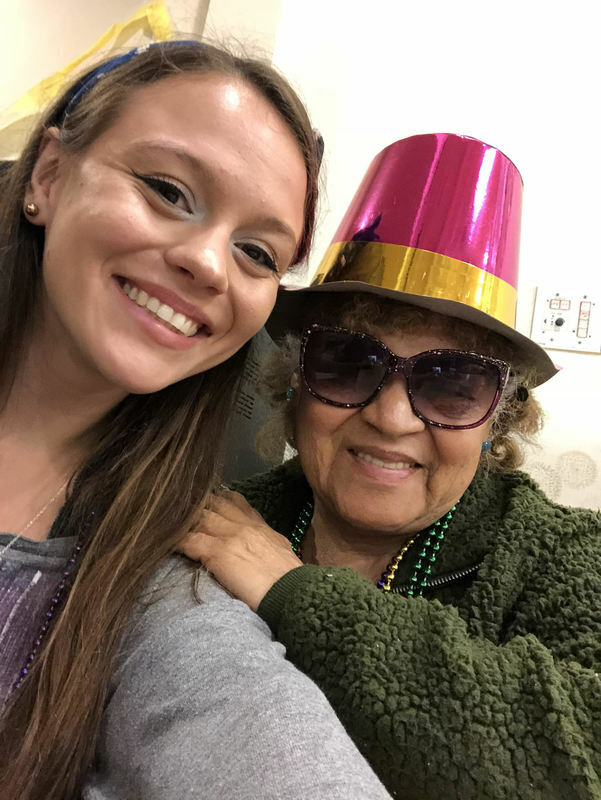 Regarding intergenerational relationships, ageism also comes into play, preventing many seniors from establishing connections outside their age demographic, even if they desired. So how are we supposed to integrate seniors into our society so that they are not so socially isolated? Jessica and John participate in the round table discussions with the intergenerational student org at school. For our group HAP, we want to create a proposal for an intergenerational pop-up garden that could potentially be moved to different appropriate sites. We can create community centers like Bayside, situated next to both a school and a church, which can help to facilitate intergenerational activities and interactions. As a society, we also need to end the aging stigma which has extremely impactful implications for the overall treatment of elders. ​We also talked more about the life course perspective and the importance of balance throughout the life course. Lots of wonderful life advice was given by everyone in the class. My main point had to do with the fact that we will never know what life is like after death. Therefore, we must embrace all human experience (even the negative) in order to fully accomplish all that human life has to offer. We cannot dwell on the negative experiences we go through, but rather appreciate them for what they are and what we can learn from them. All in all, I believe the most important thing to maintain focus on is the value we obtain from our personal experiences and the happiness we feel in the presence of these happy moments. If we measure the value of our experiences only on our personal worth, not the worth of anyone else, only then will we truly feel that genuine contentment. This week, Rhiannon, Elizabeth and I all presented on our selected passages from the book “Worlds of Difference.” The book is a compilation of short stories and poems based on the experiences of aging, aiming to view the experience from various perspectives and socially constructed lenses. The introduction explains the difference between homogeneity and diversity in order to understand the incredibly complex systems of aging. Diversity refers to inter-locking, structural positions of groups within a society. One individual could be a part of many groups, but each group contributes to a diversity within a specific characteristic, such as gender, race, sexual orientation, etc. Heterogeneity refers to the individual level in the sense that within each group, there also occurs intersectionality. The inter-locking groups can present complexities that may or may not allow people to benefit from the group that would normally provide benefits. For example, within the category of white, there are still several people who struggle and face other types of discrimination based on presence in another group. The experience of aging is heterogeneous because of diversity and the facts that all aspects of our lives more or less connect. There are shared experiences amongst people we may not generally expect. The book explains the “life course perspective,” an all encompassing, complex, interlocking system of the aging experience. In the introduction, I also really loved that when speaking about marginalized minorities, the book aims to contextualize these groups of people as “active creators of culture rather than passive victims.” This is something that as an ultra compassionate person, I struggle to properly grasp, especially when learning about the horrors both in history and in the present world regarding marginalized people. As a white person, I generally take on excessive amounts of guilt and I genuinely resent the choices my predecessors made regarding the treatment of others. At the same time, pity and victimization is not an effective solution to what I am feeling. Adaptive strategies should be appreciated for their strength and resilience. It is still important to address and condemn the perpetuation of the reasons adaptation is necessary in the first place. The introduction quoted Nicki Giovanni (one of my FAVORITE poets) and said “all the while, I was quite happy.” By victimizing and pitying an entire group of people, we play God and discount their entire existence as something to be sorrowed, when in reality, there is beauty in struggle, although this should not mean it should continue. The poem also does an excellent job of using the garden as a metaphor for life as many poetry and stories do. She explains that no matter where her grandmother lived, she was still able to cultivate a garden in any conditions. Walker refers to the rocky soil as an obstacle for her mother’s garden, which is symbolic of the societal barriers that black women have historically faced. She confidently proclaims that black women is the most oppressed group in the history of the world. Still, her life and her family’s lives are beautiful, and she is proud of who she is. This passage was very moving and I had a lovely time reading it. I’m looking forward to reading the passages that my classmates will select in the coming weeks. This quarter is going to be a little rough, but I’m sure I’ll get through it. I’m currently enrolled in 22 units. Hopefully I’ll be able to complete all of them in order to make my fourth and final academic year less strenuous. All in all, even though LCS has a higher value in terms of units, this does not correlate with the amount of stress I feel about the class. Because I care so much about the topics that we cover, I feel as if the drive to do well is something that comes more naturally than my other courses, which helps to reduce the overall levels of stress in regards to the course. This class period was fairly productive in terms of reconvening for discussing our HAPs. Our large group of girls working on St. Paul’s Plaza and Bayside has very ambitious goals for the quarter. We want to create a similar garden that are alumnus classmate, Neena, created at St. Paul’s Plaza at Bayside. With the construction of Bayside’s new community center, the community members had to tear apart their beloved garden. Due to this unfortunate circumstance, we thought Bayside would be a perfect place to recreate what the community members once had. We also love Bayside because of the enthusiasm and motivation that is held there. Corey is extremely interested in collaboration, and Rhiannon was able to speak with her church (located across the street) in order to allow for even more collaboration. In no way will we be short on hands for this project. The project will also be intergenerational, as its success could lead to collaboration with the public school located across the street. Bayside played a big part in the school’s initial existence, so being able to show the students the Bayside community center with a site for intergenerational gardening and a project will be an excellent addition to the community center. Our goal is to create a semi-permanent structure at Bayside that could be used to model a temporary movable structure that we could bring to different places in San Diego. One of our ultimate goals is to be on the agenda the “Archtober Fest,” an event in the month of October put on by the San Diego Architectural Foundation. We would love to be a stop on the list of places that the architecture foundation suggests for their calendar during that event. The goal is ambitious, but I do plan to be around in the summer time to continue work on this project. Our main goal is to finish a solid proposal for the project to present at the symposium so that we can apply for funding in time to complete the project by October. We are all very interested and invested in helping the Bayside center, so I’m incredibly excited to see where this goes! ​As someone who grew up shadowing my mother in her garden, I am utterly convinced that gardening is in fact an activity that can be prescribed as holistic medicine for a number of mental disabilities and incapacities. Spending time outdoors, touching dirt and tending to plants is enriching for your body and your soul. Being able to grant access to this kind of activity to deserving and appropriate communities is a blessing in and of itself. OH MY GOODNESS. I had such an awesome day on Saturday at the Gary and Mary West Center located in Downtown San Diego. The time finally came for us to put on our senior prom for the elders at the community center, and I can genuinely say it was a hit! The group was put under a bit of pressure, as the dance was slated to begin at 1:45, and the elders did not finish their lunch until 1:20. The LCS cohort’s teamwork was unmatched in finishing the decorating for the dance right on time for all the elders to come and enjoy it. Everyone seemed to love all the pizza and refreshments and it was really nice being able to send the extra food home with people. I know that many of the seniors in the community center are in need of food during the evenings when they spend their time away from the center. It was a cold, rainy day, so being able to provide further nourishment outside of the center was honestly a blessing. The smiles on everyone’s faces while they were receiving was incredibly heartwarming and I am so thankful that LCS has the funds to give to the centers we work with the way that we do. One small regret is that I did not dedicate much time to fundraising/finding gift cards or prizes so that we could have given more. This was noted so that the next LCS cohort can plan accordingly. The senior community center’s singing group was fabulous. All of the singers themselves looked like they were having so much fun. The audience of other seniors was also very engaging and encouraging. I definitely snuck some videos of people dancing as well. It made me really happy to see that the senior has such a high level of involvement that they can maintain clubs with special interests like the singing group. It’s really important that the seniors have a creative outlet that is accessible to them through the center. During the dance I made a friend. Her name is Teresa and she’s originally from El Salvador. I was able to utilize my Spanish skills to talk to her a bit. I’m not completely fluent, but I can hold conversation. She told me about how her family is broken and spread out in many places because of the wars in her country. She left in 1981 because it wasn’t safe. Her son, however, stayed and fought in the war for 8 years. Now, one of her sons lives in San Diego with his kids, but everyone else is scattered in different places. It was sad to hear that her family had to suffer due to the wars. It’s incredibly unfortunate that something many cultures share is the experience of the perils of war. During my oral history project interviews, I learned a lot about how World War II personally affected my dad and our family as well. Although this conversation got heavy, Teresa was generally happy and very welcoming in terms of my inabilities and limitations with my Spanish. Spanish speaking people always tend to be very friendly in regards to others using their language. She helped me when I couldn’t remember a word, politely corrected me if I said something wrong, and complimented me by telling me that she understands my Spanish. Jessica was going around taking pictures with the Polaroid, so both of us were able to leave with a picture together. Talking with Teresa had to be one of my favorite parts of the day. We took pictures on both of our phones as well (suggested by her), so that we would not forget each other. All in all, I’d have to say that the senior prom was probably one of the most rewarding experiences of the quarter.